Soothe Your Spirit While Cleansing Your Hands With The Gentle Ingredients Used In This Liquid Hand Soap. The Relaxing Scent Of Lavender, Fresh From The Field, Combines With Tender Chamomile Flowers To Calm Your Stressful Days. Its Unique Formula With Moisturizers Leaves Your Skin Feeling Soft And Protected. The Clear, Attractive Bottle Conveniently Dispenses Just The Right Amount Of Soap To Prevent Wasteful Use.. 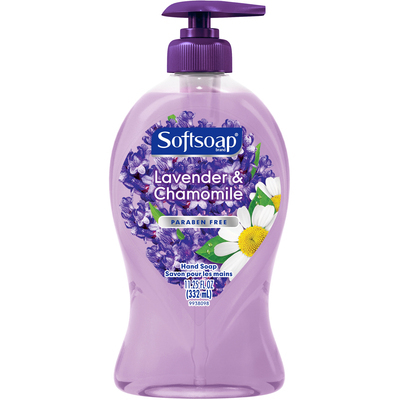 Soothe Your Spirit While Cleansing Your Hands With The Gentle Ingredients Used In This Liquid Hand Soap. The Relaxing Scent Of Lavender, Fresh From The Field, Combines With Tender Chamomile Flowers To Calm Your Stressful Days. Its Unique Formula With Moisturizers Leaves Your Skin Feeling Soft And Protected. The Clear, Attractive Bottle Conveniently Dispenses Just The Right Amount Of Soap To Prevent Wasteful Use.